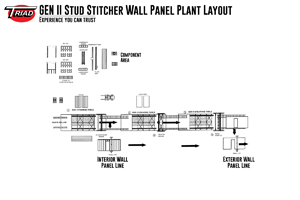 Cornerstone of the Triad Window Line, the T4-Window Machine is for door and window frame assembly. The machine automatically aligns, clamps and simultaneously drives three staples into each of the four corners. 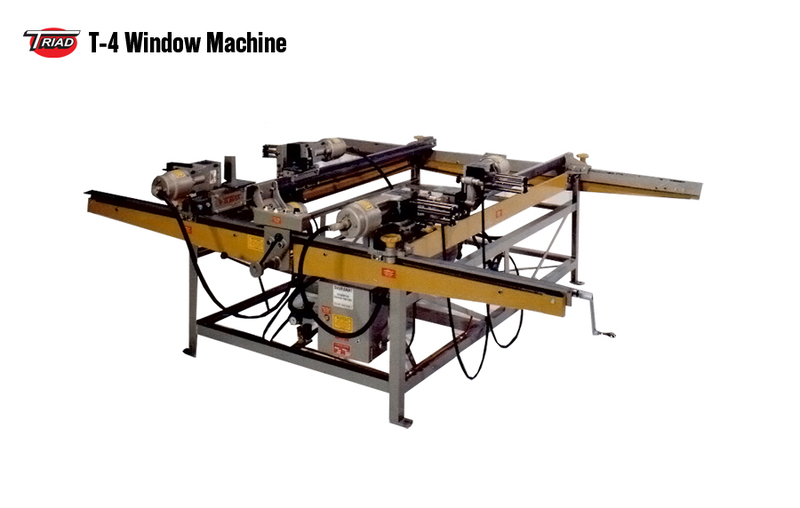 The T-4 Window Machine easily handles both square and rectangular frames from 18" to 96". Easily change production sizes to accommodate "house orders" with maximum of uptime. One revolution of hand wheel changes height 12 inches and the width 7 inches. See how Triad Machines work together for the highest and most efficient production. Since 1960, Triad has been the builders' source for automated machine tools for the housing industry, including: wood wall panel equipment, steed stud framing tables, stair building machines, window framing machines, material handling carts, and more. Copyright © 2016 Triad Machines. All rights reserved.